But I have to note that he doesn't talk that way all the time. Well, well! I watch Stephen Fry related stuff all the time and even follow his Twitter. He seems to be the last line of defence when it comes to the English language! Plus he's a thoroughly nice chap anyway and I enjoy a lot of his work, especially since he was so honest about his illness. But I've never bothered with V, nor am I interested in audio books, so I never before appreciated just how good he is playing a part through his voice. I can tell it's him, but I'm not thinking "isn't Stephen Fry good? ", which perversely just shows how good he is. I wasn't entirely aware of Stephen Frye until last year, when he did the voice over for the PS3 game LittleBigPlanet (which is awesome!). Tried listening to his podcast but couldn't get into it (I already have a filled-up podcast schedule anyway...). He's a bona fide national treasure here in the UK. Because of House, Hugh Laurie may be considered better known in the US, I'm not sure. But Fry has just always been here and such a varied career and now we know he's bi-polar, he just feels like a Very Important British Person now. I still remember the fuss when he disappeared after a play, to finally reappear in Belguim of all places! Richard Biggs ... Stephen Franklin, M.D. Synopsis: In the Earth year 2278 the emperor of the Centauri Republic, Londo Mollari, is telling the story of the great Earth-Minbari war that nearly led to the extinction of mankind. A misunderstood gesture made an Earth Alliance cruiser fire upon a Minbari vessel, thereby killing their leader. The Earthlings have awoken the dragon and it is furious. My Opinion: I believe this movie also works if one has never seen a single episode of the show. But if you intend to watch the show you should not watch this movie before because it is highly spoilerific and would diminish your enjoyment of the show. And even though it's slightly retconning the show's history with characters meeting here for the first time, I think it's the best TV show TV movie I've ever seen. It was one of my first DVDs and I have watched it countless times. "They never ran out of courage. But in the end, they ran out of time." And once again my alien-mask-senses were tingling. One of the Minbari was played by the same guy who played Byron in the fifth season; that was no biggie. But I also knew the other one from somewhere. The eyes and lips, I knew them - but from where? Of course! Ethan Rayne!! 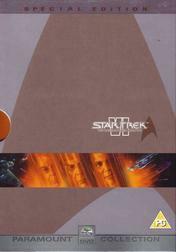 Synopsis: The Romulan mining ship Narada has accidentally travelled back in time after their home world had been destroyed. Now the crew wants revenge with whom they deem guilty of this: The Vulcans and Spock in particular. But they arrived in a point in time where Spock is but a small boy and the famous James T. Kirk hasn't even been born yet. And when they destroy the USS Kelvin, they change the timeline forever. Will Kirk ever be captain of Starfleet's most famous ship? 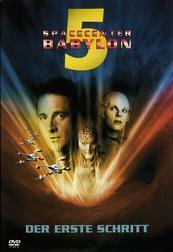 My Opinion: If you ask me this movie was the best that could have happened to the dying Star Trek franchise. It's not perfect, I'll give you that (Why not insert a "Three Years Later" right before the end scene?) but it plays in a totally different league than the abysmal Nemesis. I loved all the characters and they have received an appropriate persona upgrade. And I have no problem with still enjoying my Wrath of Khan / Voyage Home / Undiscovered Country / First Contact whenever I want. I only hope that the Star Trek numbering curse is broken and not just inverted (that now the odd numbered are the good ones). Synopsis: The general who became a slave. The slave who became a gladiator. The gladiator who challenged the emperor. Basically the tagline of the movie but it pretty much sums it up. General Maximus was supposed to give Rome back to the people but the son of the emperor had other plans, mainly: becoming emperor himself. Their fate won't be decided on the battlefield but under the eyes of the cheering crowd in the arena that is the Colosseum. 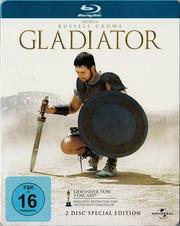 My Opinion: This movie is the reason I never bought Spartacus or Ben Hur on DVD. I've seen them quite a few times when I was young but I fear they can't hold up with this one anymore. In the beginning I didn't even want to watch it because I thought the age of sword & sandal movies was over but I was wrong. 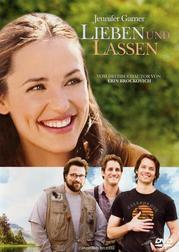 It's an awesome movie, I love the story and I love the action. "Is Rome worth one good man's life? We believed it once. Make us believe it again." This movie is the reason I never bought Spartacus or Ben Hur on DVD. I've seen them quite a few times when I was young but I fear they can't hold up with this one anymore. In the beginning I didn't even want to watch it because I thought the age of sword & sandal movies was over but I was wrong. It's an awesome movie, I love the story and I love the action. "Is Rome worth one good man's life? We believed it once. Make us believe it again." I always felt Ben Hur was too typical of the era. It is brilliant, but has the subtlety of a sledge-hammer. However Spartacus I do prefer and I think it does hold up to this day, but still, I wouldn't argue the point because Gladiator is an awesome film and has every right to stand with and above the films of that era. It's like L.A. Confidential and Unforgiven in that it took a largely forgotten genre and actually didn't just do a new remix, it defined it as well. But is this the first time you've seen it on Blu? Worth the upgrade? Synopsis: Shortly before their wedding Gray's fiancé was killed in an accident. His (and her) old friends try to comfort her when she moves in with them. But then she begins to learn things about him she never knew; with the biggest shock being that he's already a father. And while she tries to cope with all that she falls in love with his one friend she never thought she would even like him. My Opinion: I enjoyed this movie very much. I thought the entire ensemble delivered very well. I really liked that it didn't just have the major love couple but also the supporting characters were also involved in love activity. I really liked the "meta irony" to see Kevin Smith's character around someone who doesn't swear at all and he can't either. Of course this movie is - like most of its genre - clichéd, but I wouldn't want it any other way. I also think that it is - despite it following the standard romance plot - a nice change due the background story and the "other woman" (who happened to be played by Juliette Lewis...). Synopsis: Three months until Captain Kirk and most of his senior staff go into retirement. Sulu has got his own ship now, the Excelsior. But then the klingon moon Praxis explodes. This polutes the atmosphere of the klingon homeworld Qo'noS (Kronos). The Klingons have no choice but to negotiate a peace treaty with the Federation. But there are forces in motion that want to prevent that this happens. My Opinion: "There will be no peace as long as Kirk lives" (Star Trek IV). This time one had to fear that they mean it. 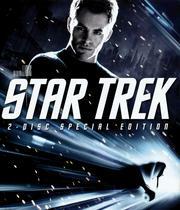 VI is my favourite movie of the old Star Trek series. There is a great final battle but that's not the end but is marking a new beginning. Nicholas Meyer is directing a Star Trek movie for the second time after II and he did again an excellent job. Besides being the director he also worked on the screenplay for II, IV and VI and thus for three of the five best Star Trek movies. @Jimmy: This is a recycled review, no need to add it to the list agin. And even though I have seen the extended edition now I still the following image in my head: After Josh had become a kid again he goes to school again and sits in his place when a new red-headed school girl comes into class and gets seated behind him. He turns around and she smiles to him. I don't know from which movie I got that scene but I always associate it with Big. I had the same problem after buying Big. I also expected this scene. As far as I could find out then, this scene is from Vice Versa (if I remember correctly), but I didn't have a chance yet to check it out. Damn. It also wasn't "Vice Versa". Where the hell is this scene from?